An electric guitar lesson on how to play main guitar solo to "Still Got the Blues" by Gary Moore. This is such a classic and awesome guitar solo. 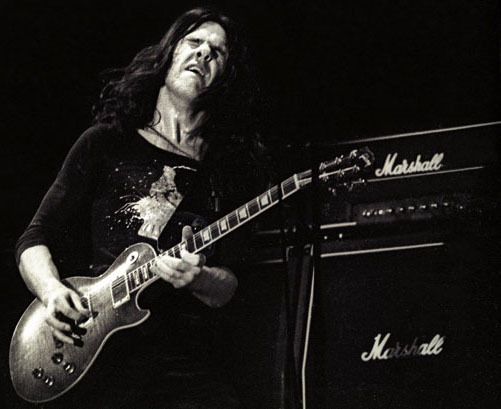 Gary Moore was a very influential guitarist out of Belfast Ireland. So many guys were influenced by his playing including Vivian Campbell, John Norum, Paul Gilbert, Gus G, Slash, Joe Bonamassa, Doug Aldrich, Zakk Wylde, Randy Rhoads, and JohnSykes. Gary played with a lot of feel, fire and passion. His playing was full of melody, but he could shred with the best of them. He's always been one of my favorite players, mostly because he just really means what he's playing and his vibrato is one of the best ever. He has a way of making the guitar "ache" with some of those notes he hits.